Who knew T-shirts could be so cool? Flippable sequins, glow-in-the-dark & sunlight activated graphics! Now that's cool... Mix & match swimwear for boys and girls with built-in UPF 50. Kids spend their time seeking out adventure, mischief and mess – which is exactly how it should be. Kids' clothes need to be able to deal with whatever is thrown at them, often quite literally! We make sure our kids' clothing is built to withstand all their playground antics from tree climbing to mud pie making and more. Spring and summer time is a great time to be a kid, with so much fun to be had, they’ll not have time to worry about clothes. That’s why we design and make our range of kids clothing to be practical as well as colourful. 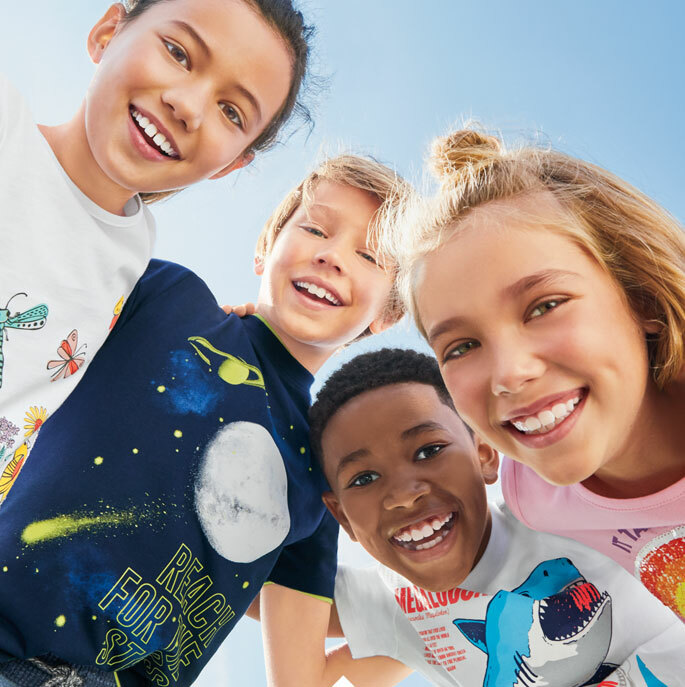 Our boys’ t-shirts are printed with cool graphics, including science, space, nature and sports tees. For girly summertime style, we mix and match girls' skirts and leggings with a gorgeous selection of girls’ t-shirts and dresses. We also offer a fantastic selection of girls’ swimsuits and boys’ swim shorts, plus printed swim tees, all with SPF 50 to help protect active kids from sunburn on those summer days when sunscreen alone just won’t cut it. We keep them snug through the worst weather with boys' winter jackets that are waterproof, insulated and packed with innovative features they’ll enjoy. Likewise, our girls' winter coats tackle every eventuality with weather-resistant fabrics, cosy insulation and a host of styles from practical to pretty, in a beautiful array of colours and fun prints, too. Cute kids hats, scarves, gloves and cosy winter boots complete their outfit. 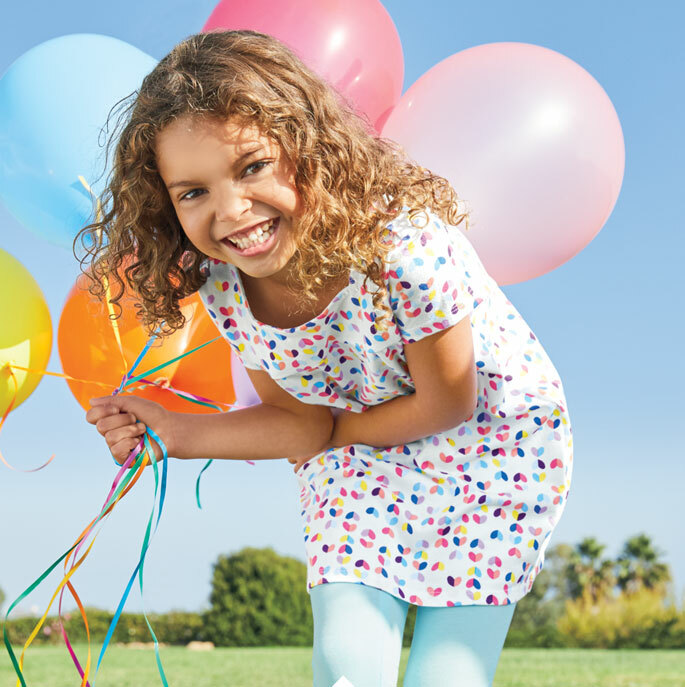 Whatever you’re looking for to dress up the little ones, you’ll always find quality and style at Lands’ End.